YOU ARE THE HERO receives its 50th 5-star Amazon review! I thought it a worthy landmark to celebrate. 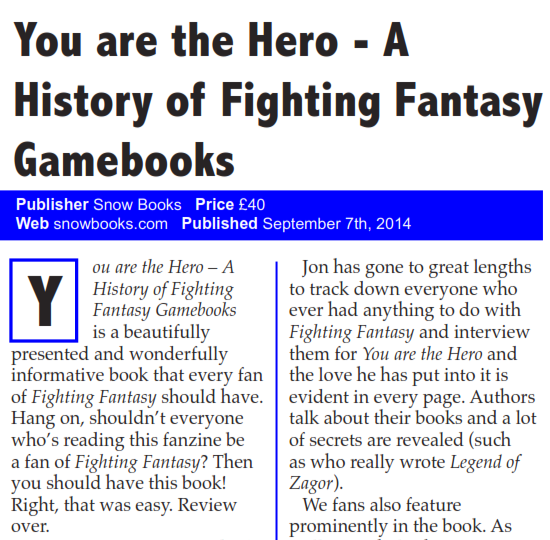 My history of Fighting Fantasy gamebooks has received its Return to Firetop Mountain of reviews. 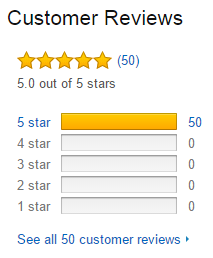 That's right, the 50th review of my 50th published book has been posted on Amazon.co.uk, and it's another 5-star one. In case you haven't yet picked up a copy of YOU ARE THE HERO yourself yet, you can still do so here. As of the moment this post goes live, there are just 48 hours left to run on the Steve Jackson's The Trolltooth Wars Kickstarter. As of writing this blog post, the project still needs almost £2,400 to reach its funding goal, so now, more than ever, writer PJ Montgomery and artist Gavin Mitchell need your help. 1) It's Fighting Fantasy - And Fighting Fantasy has found a natural home on Kickstarter, which enables creators to contact the fans who would buy FF products directly, without the hassle of middlemen and all the hoops that would have to be jumped through to get something published. 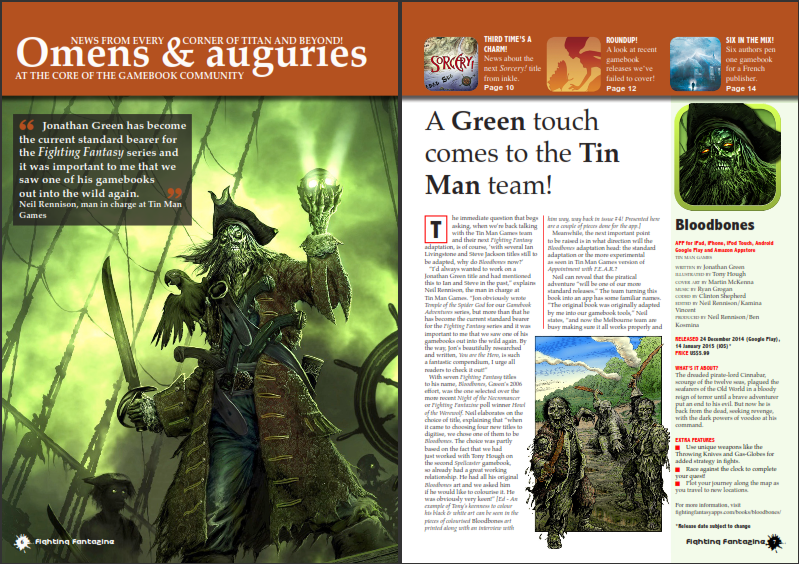 And the more Fighting Fantasy projects that are backed and are successful, the more other creators will follow in their footsteps, and the more FF material there will be in the future. Ian Livingstone himself has said that there may be plans to launch a Kickstarter based on Damien Sparkes' FF sculpts, but only if the demand is there and what better way of demonstrating that than by backing another Fighting Fantasy project? 3) Malcolm Barter will be providing brand new art for the book - Announced on Monday, legendary FF artist Malcolm Barter, the man behind the iconic illustrations for The Forest of Doom - the man who brought us the Fire Demon and FF Werewolf for the first time - will be producing brand new pin-up art for the book. 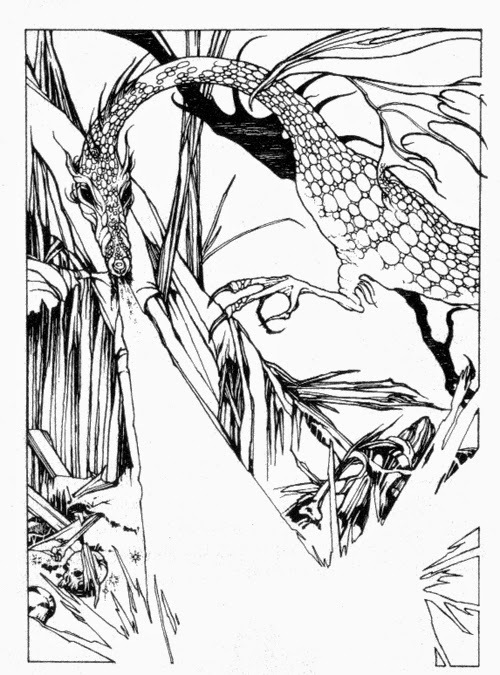 Now, for fans of FF and fantasy art, that fact alone has got to warrant pledging at the Rhino-Man level or above. 4) It's Kickstarter - Without your help the book will not happen! You have the power to make this graphic novel a reality. You could be the person whose pledge takes The Trolltooth Wars past its funding target. Yes, YOU! And all for the price of what? A curry? The taxi home afterwards? It's certainly a lot less than the price of a night out. And if cash is a little tight, why not ask someone else to pledge for you and consider it as an early birthday present? Or pledge yourself and think of it as an early Christmas present! 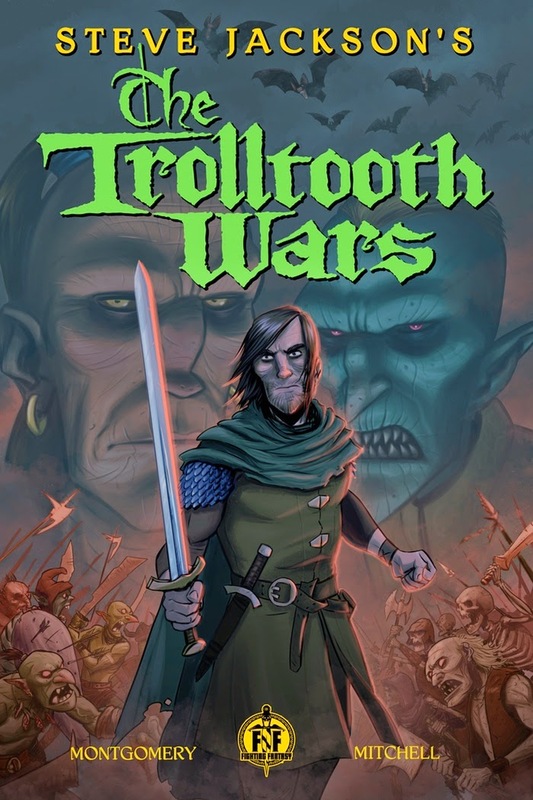 Remember - if the project is shy of just £1 its creators will receive nothing, and none of us will get to read The Trolltooth Wars graphic novel! 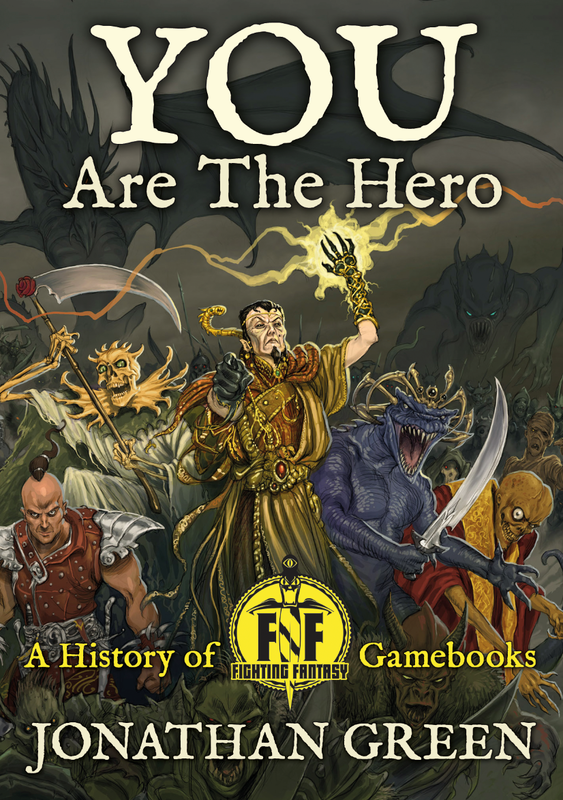 5) You can get hold of a copy of YOU ARE THE HERO - That's right, if you don't already have a copy of the critically-acclaimed History of Fighting Fantasy Gamebooks, certain pledge levels come with a signed copy. If you're not sure why owning a copy of YOU ARE THE HERO should be such an incentive, just check out the reviews over on Amazon. So there you have it. If you have already pledged, consider raising your pledge level, or ordering a second copy of the book. If you haven't pledged yet, and you've been meaning to all along, don't dilly-dally any longer. If the project funds and you're not a part of it, you'll be gutted in the long run, Trust me. And whether you've pledged or not, maybe you know someone who would appreciate this project, so tell all your friends by whatever means at your disposal. The more people talk about Steve Jackson's The Trolltooth Wars the greater the chance of it picking up new backers. So, what are you waiting for? Steve Jackson's The Trolltooth Wars needs heroes to help make it happen - heroes like YOU! The Trolltooth Wars. Those three words will be familiar to Fighting Fantasy fans. The first straight novel set in the FF universe, Steve Jackson’s 1989 book featured familiar characters and settings in an exciting fantasy adventure, in which you weren’t the hero - Chadda Darkmane was. Readers joined Darkmane on an adventure that took him from Salamonis, to the Forest of Yore, to the bizarre town of Shazâar, to the very depths of Firetop Mountain. Fan favourite characters Balthus Dire, Zharradan Marr, Gereth Yaztromo and, of course, Zagor himself, rubbed shoulders with new creations like the Chervah, Jamut Mantrapper and the sorceress, Lissamina. It also spawned a number of sequels, which all further expanded the world of Titan, and gave Darkmane new challenges to overcome. But, if you’re reading this, you probably already know that. 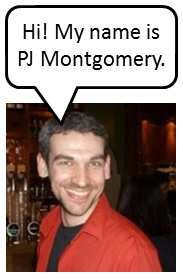 My name is PJ Montgomery, and I’m a writer based in Cardiff. Jonathan has very kindly invited me to write a guest post all about my latest project, a graphic novel adaptation of The Trolltooth Wars. 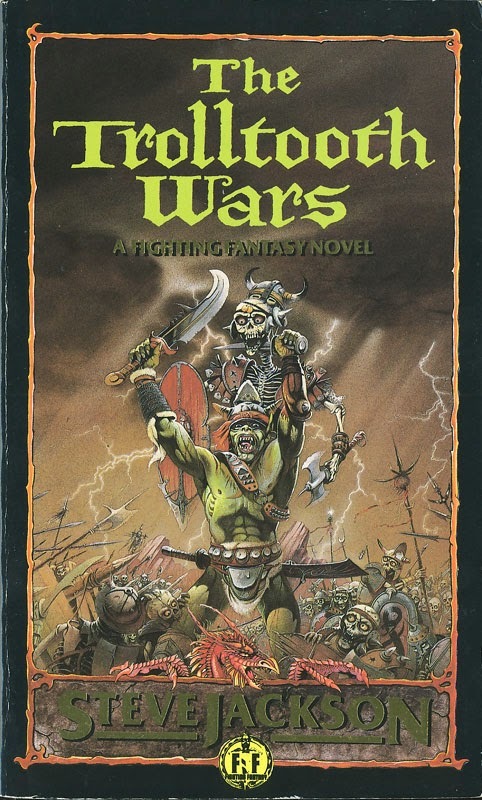 I’ve been a fan of the Fighting Fantasy series since, as a young child, I discovered some of the books in my school library. A few months and much pestering later, I finally managed to get my mum to buy me a copy of The Warlock of Firetop Mountain. Sure, that first adventure in Zagor's domain ended with death at the hands of a vampire, but it spawned an obsession within me, which continues to this day. I’m also a huge fan of comics. This passion began a bit later, with my first issue of X-Men, but it’s burned just as fiercely. It’s a unique medium, combining clever writing and visual storytelling like no other. Comics have the potential to tell amazing stories which feed the imagination, just as well as any novel, while providing stunning images without the budgetary limits which can cause a film or television show to fall short. 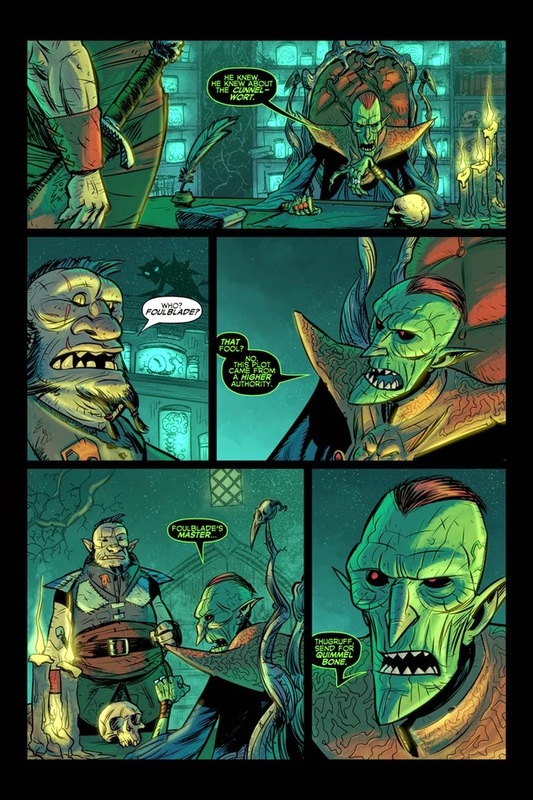 Combining comics with Fighting Fantasy feels like an obvious idea to me, and where better to start than The Trolltooth Wars? It’s actually a very visual novel, thanks to Jackson’s clear and descriptive prose, combined with some excellent illustrations by FF legend Russ Nicholson. I’d had the idea to turn it into a comic a while back, but it was only last year that I actually did anything about it, and fired off an e-mail enquiring about the possibility of putting a graphic novel together. Fast forward to now, and a full script has been written, and is in the process of being illustrated by talented comic artist Gavin Mitchell. 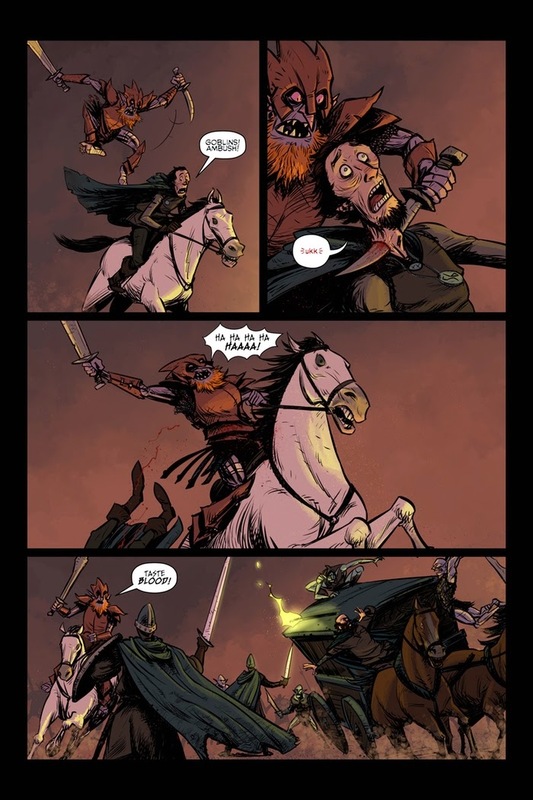 Gavin and I have plenty of experience creating comics between us, having worked together previously on the South Wales set horror comedy, Stiffs. I’ve also contributed to the superhero anthology title The Pride Adventures, while Gavin has provided art for books like '80s horror mash-up The Samurai Slasher, and superhero book The Pride, the parent book of The Pride Adventures. So we know what it takes to produce a quality comic. The only thing currently standing in our way, is funding. As such, we’re in the middle of running a Kickstarter with the aim of raising the money to release the comic later on this year. The money raised is all going into the book, and while we’ve had a good start, we’re not there yet. I love Kickstarter. I think it’s a brilliant site, which can help with the creation of excellent projects which may not otherwise see the light of day. I’ve backed plenty of campaigns myself (including You Are The Hero, naturally), and always enjoyed being part of a campaign, and never been disappointed with the end results. We’re hoping to provide our backers with a similar experience. Backing the campaign will get you any of a number of rewards, including badges, prints, wallpapers for your computer, and copies of the book. There’s also the chance to get copies signed by me and Gavin, copies sketched in by Gavin, and limited edition copies signed by Steve Jackson! There are even reward levels which will get you a signed copy of You Are The Hero, and, right at the top end, the chance to be drawn into the book, appearing as one of the residents of Titan! As for the book itself? Well, that'll be coming in at just over one hundred and thirty pages of story, sticking close to the template set by Steve Jackson. The story's the same, it's the telling which is different. 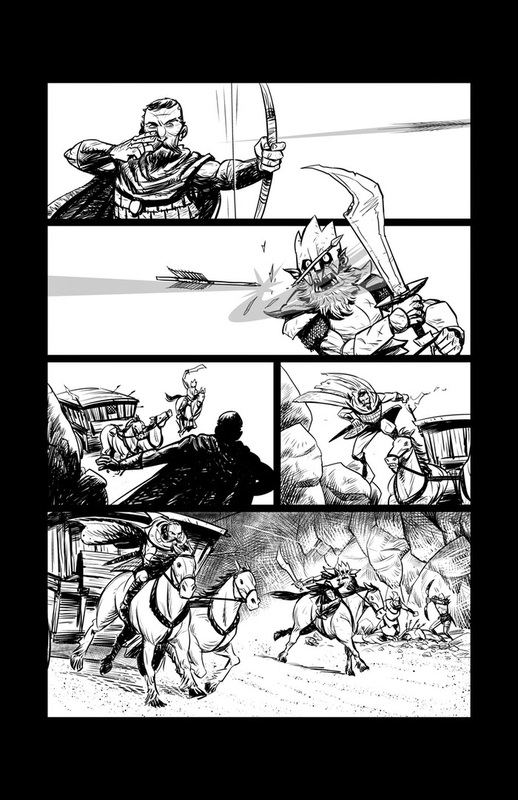 Gavin's art is bringing Titan to life like never before, which means that even those who know every word of The Trolltooth Wars, from beginning to end, will be getting a new experience. This book is for everyone, both fans and newcomers. That said, there will be Easter eggs for the fans throughout, and extra material in the back. This will include some of Gavin's original character sketches, work in progress pages, and pin-ups by guest artists. We’d love it if you could back the campaign, and get all of your friends to do so as well. We’re really excited by this book, and hope you will be too. Help us make it a reality, and as far as we’re concerned, you really are the hero. 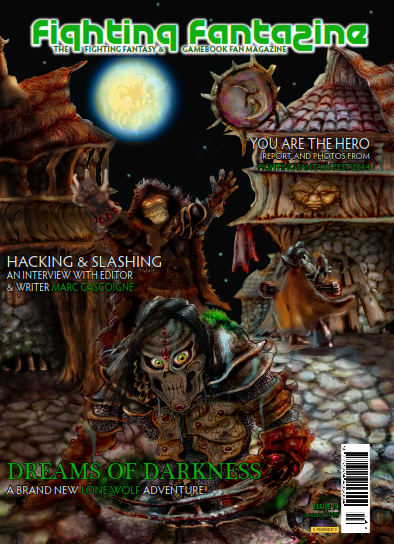 Issue #14 of the hugely popular and highly professionally put together Fighting Fantasy fanzine Fighting Fantazine is now available for download - for FREE! I have been particularly looking forward to this issue, because not one, not two, but three of my projects feature within its 104 pages! First up is Bloodbones, or more specifically, Tin Man Games' adaptation of my fourth Fighting Fantasy adventure which was on hiatus for ten years until it was finally published by Wizard Books nine years ago*. It's nice to see some pictures from the Fest from the other side of the table. ...and third is another glowing review of YOU ARE THE HERO, this time by Stuart Lloyd. According to Stuart's review, if you're reading this you should also own a copy of YOU ARE THE HERO. The issue also includes a brand new Lone Wolf adventure this time, and an in depth interview with Marc Gascoigne, who was consultant editor on the series when I started writing for Fighting Fantasy... almost 23 years ago**! Congratulations to Editor Alex Ballingall and the team, for another fantastic issue, and you can download your FREE copy by clicking this link. * Crikey! Has it really been that long? ** It's actually nearer 25 years*** since I first started pitching ideas to Marc. *** That's a quarter of a century! I can't believe that it's three months since Fighting Fantasy Fest 2014, where YOU ARE THE HERO - A History of Fighting Fantasy Gamebooks was launched, and I realised yesterday, whilst at the 15th Dragonmeet convention, that it was two years since I launched the Kickstarter* to fund the creation of the book in the first place. What was great about yesterday was the number of YOU ARE THE HERO backers and Fighting Fantasy Fest attendees who stopped by my stable to say (a) how much they had enjoyed the book, and (b) asking if there would be another Fighting Fantasy Fest in 2015. Dr Frankenstein (a.k.a. Andrew Harman) and his latest test subject. Ian and Steve stopped by after their Top 10 games talk, to sign books (including a couple of copies of YOU ARE THE HERO), which was nice, and they were joined by ace artist Tony Hough. Steve, Ian and Tony signing for the FF fans. Thanks to all the organisers, everyone who stopped by my table, as well as Linda, Nimrod and Thea who kept the Greens company during the day (and an eye on all our stuff from time to time). Here's to Dragonmeet 2015! ** A special thank you to Michele's friend (I'm sorry but I don't remember his name) who told me a great fact about reindeer that will have to go in a future edition of Christmas Explained. *** Talking of which, I really need to get my Steampunk dice game sorted out. It is almost three months since the world's first international Fighting Fantasy convention was held in London but two videos from the day have just been uploaded to YouTube by Fighting Fantasy Fest attendee, and YOU ARE THE HERO Kickstarter backer, James Aukett. The first is Steve and Ian's excellent talk with Philippa Dickinson and Geraldine Cooke about the origins of Fighting Fantasy. The second is the Art of Fighting Fantasy panel that I hosted. If you were there, they will doubtless bring back fond memories of the day. If you weren't this is the moment you've been waiting for. Enjoy. So, Fighting Fantasy Fest... This time three weeks ago (as of writing*) I was unloading a carload of stuff** at the DoubleTree Hilton Hotel, ready for the first ever, dedicated, Fighting Fantasy convention. Almost twelve hours later, I was getting back into said car to return home. The bit in between was a bit of a whirl. Jonathan Green, Geraldine Cooke, Zagor the Warlock, Steve Jackson, and Ian Livingstone at Fighting Fantasy Fest 2014. It really came home to me that Fighting Fantasy Fest was actually happening when all the traders started to turn up and unload very professional-looking display cabinets and the like. And it was the presence of Otherworld Miniatures, Leisure Games, FightingFantasy.com, Snowbooks, Arion Games, All Rolled Up, Scriptarium, Tin Man Games, Inkle Studios, Gothic Manor, and Legend Photography that really helped to make what started out as a book launch into a proper con. Otherworld Miniatures' Zagor miniatures in special FFF blister packs. But of course the day wouldn't have been what it was without the presence of the host of Fighting Fantasy guests who made their way to Ealing especially for Fighting Fantasy Fest. There were the artists Chris Achilleos, Malcolm Barter, John Blanche, Leo Hartas, Tony Hough, Russ Nicholson, writer Peter Darvill-Evans also made it, along with very special guests Philippa Dickinson and Geraldine Cooke (who just made it in the nick of time to rapturous applause from the audience). But none of us would have been there in the first place if it hadn't been for our very special Guests of Honour, Steve Jackson and Ian Livingstone. Just part of the much marvelled at FF Exhibition. I am grateful to Neil Rennison for kicking off the talks with a presentation about Tin Man Games and the company's plans for the Fighting Fantasy apps, which was followed by the headline act of the day, as it were - Steve and Ian in conversation with Philippa and Geraldine (eventually). One of the goodie bags given away on the day, plus contents. Meeting so many FF fans and backers of YOU ARE THE HERO. Meeting the Demonic Three (a.k.a. Mark Lain, Steve Leicester and Jam Hirons). Seeing a Goblin patrolling the queue attempting to register on the day and berating them generally. People asking me to sign original copies of Spellbreaker and Knights of Doom, along with my other gamebooks at the mass signing. The FF Auction (with Ian Livingstone working the room like a pro). Thomas Nielsen winning the costume competition dressed, appropriately enough, as Zagor the Warlock. Facebook friends and Twitter adventurers meeting in person for the first time. My Skill, Stamina and Luck t-shirt. Having my photo taken by Legend Photography alongside Ian and Steve. The positive atmosphere and happy con-buzz (which still hasn't left me). Who let that Goblin in? Pure Evil Miniatures' take on some Fighting Fantasy classics. Timings going a little out the window (but thank goodness the hotel let us stay on for an extra hour). Not getting my own copy of YOU ARE THE HERO signed by all of the guests. Not having enough time to speak to anyone beyond saying "Hello, thanks for coming" in some cases. 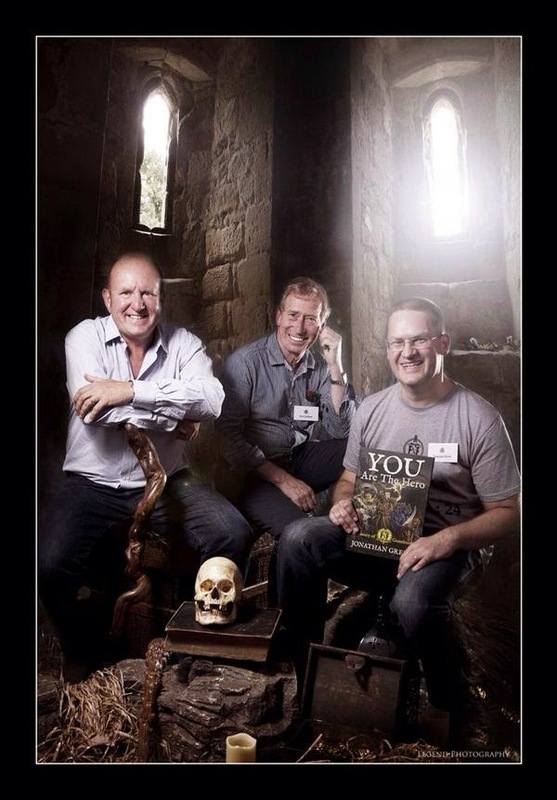 The creators of Fighting Fantasy, Ian Livingstone and Steve Jackson, and the author of YOU ARE THE HERO - A History of Fighting Fantasy Gamebooks, Jonathan Green. FFF 2014 would not have run so smoothly without the help of my family and best friend Andy, so a massive thank you to them***. But the biggest thanks has to go to all those who attended. If you hadn't stumped up for a ticket or two, the event could not have happened. There are already rumblings regarding FFF 2015. 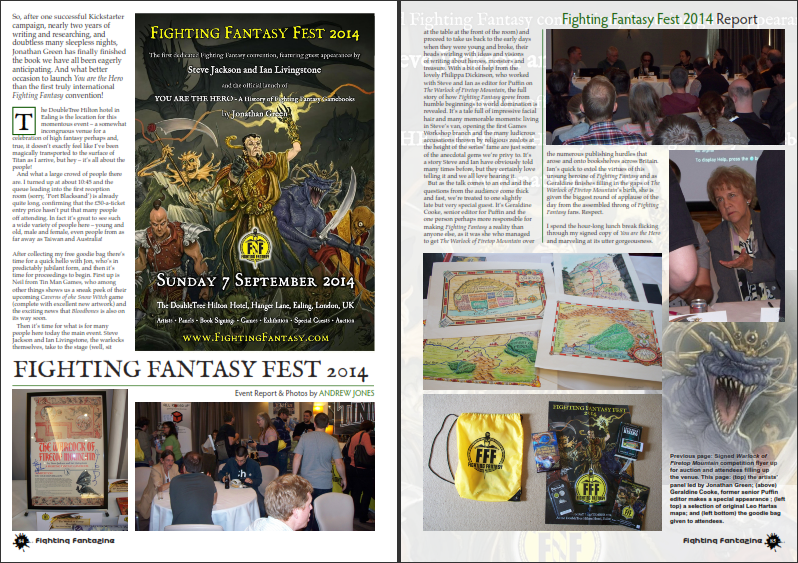 I think it's safe to say that if we do do it again, it won't be quite the same as this year, put I will also be sending out a questionnaire, in due course, for attendees of FFF 2014 to give their feedback and have their say regarding what they would like to see at the next Fighting Fantasy Fest. If you missed the event, the exclusive Zagor the Warlock miniature that was given away in the event goodie bag is now available to buy from Otherworld Miniatures. And if you'd like to see some more photos from the day, you can do so here. *** It's been particularly gratifying to read other people's kind comments about how hard my wife worked on the day, and even one attendee remarking how much he enjoyed embarking upon an AFF adventure with my sprogs.